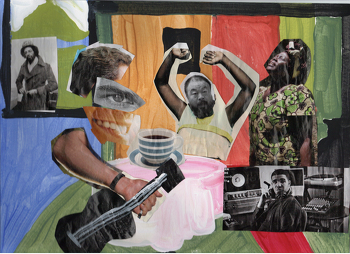 Your child can hone her cutting skills while making this festive patriotic collage. Stars have been shining bright on the American flag since Betsy Ross stitched them on in 1776. A patriotic American holiday is the perfect opportunity to use the all-American colors of red, white, and blue and cReate a paper craft To really get in the spirit. 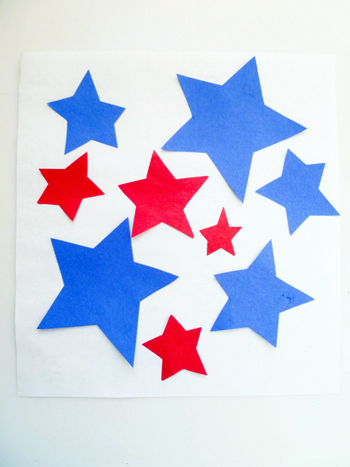 Offer your child pieces of red and blue scrap construction paper of various sizes. Now invite her to begin drawing several stars free-hand seeing if she can create stars of different sizes. Now offer your child a ruler and encourage her to use the straight edge to draw and measure the lines of a few more stars. 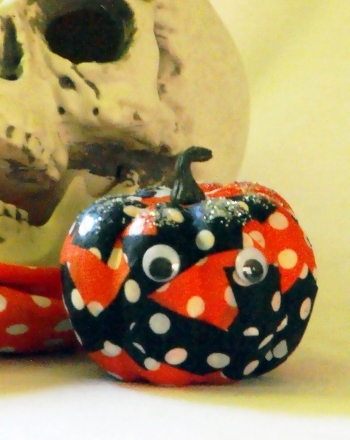 Does she prefer to freehand her stars or create mathematically-designed stars? Get out the scissors and invite your child to cut out all those festive stars. Encourage her to take her time, trying to cut along all her lines, a great way to boost hand-eye coordination and fine motor skills! 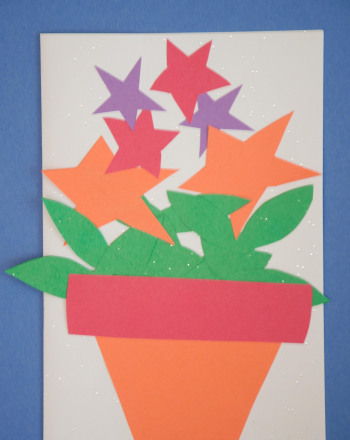 Offer your child a sheet of white construction paper and glue to use for creating her star collage. She can position the stars randomly or create a pattern or unique design! Her finished star collage can be proudly displayed somewhere in your home! 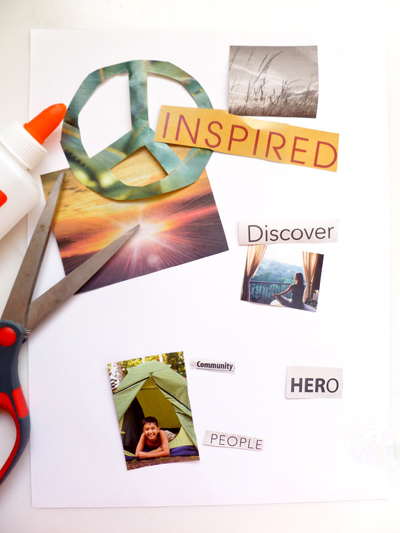 In celebration of National Peace Day on September 21st, your child can create a colorful peace collage, using magazine clippings and colorful pieces of paper. 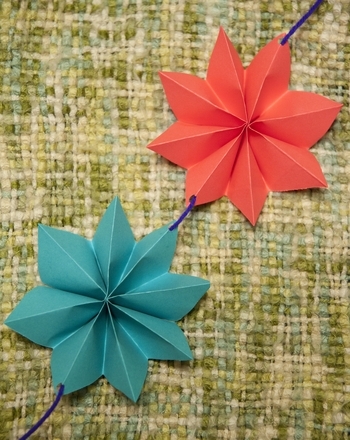 Try making this pretty star, and find your zen!